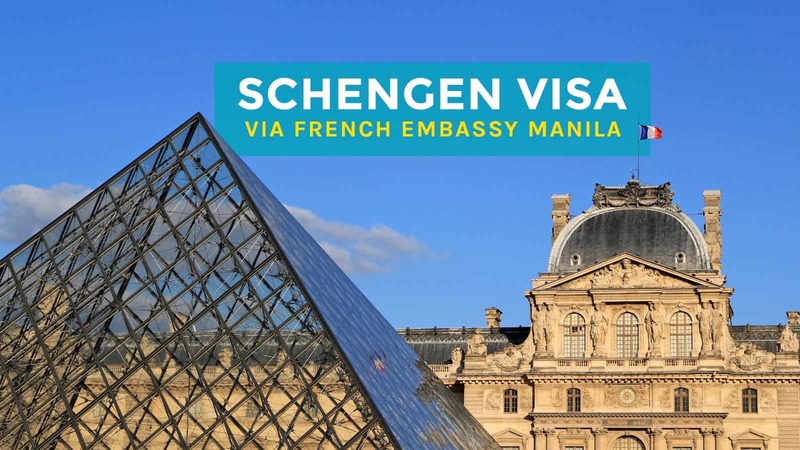 In December 2017, the French Embassy implemented a new Schengen visa application process. 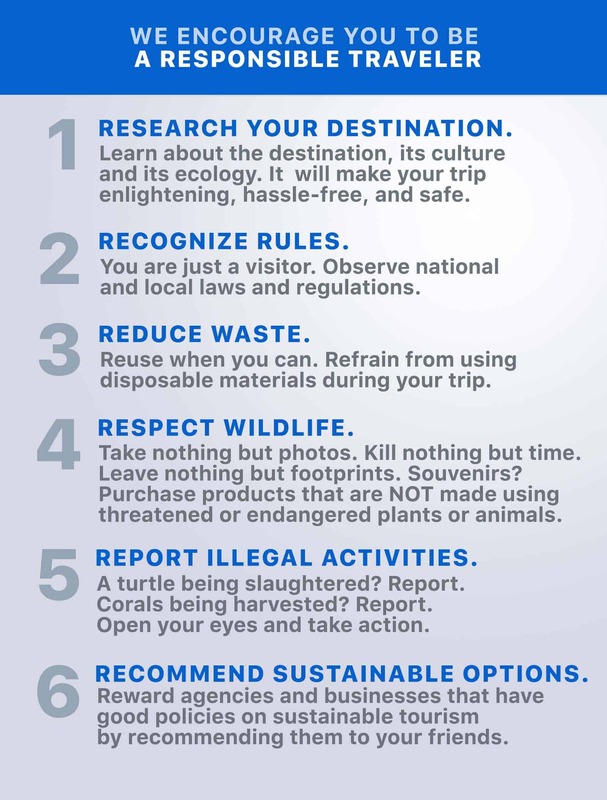 The visa guide below still applies if you want to do it this way, but the new process is much simpler and has fewer requirements. On my last day in Paris, I wanted the moments to last longer, I moved so slowly. It took me 30 minutes to walk from the hotel to the train station to have “one last look”, which became a dozen last looks. Silly, I know, but yeah yeah. I’m childish like that. That Paris trip was a realization of a life-long dream. Growing up, I was a fan of French Cinema. At Film school, I worshipped Francois Truffaut. I adore French food. I even learned the French language in college. It was as though life had been preparing me for that week-long affair with Paris, one of the most unforgettable journeys I have ever taken. And none of it would ever be possible if I didn’t have a Schengen Visa. Of all the visa applications I have done, it is definitely one of the most demanding. Yet, it wasn’t as difficult as I expected it to be because I already had most of the required documents. 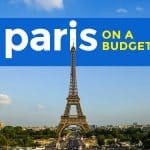 This post will help guide you breeze through the visa process if you’re going to France (and other Schengen countries) as a tourist (short stay). Updated 2017. Hold on, should you be applying at the French Embassy, in the first place? Note, however, that you can’t apply just anywhere. You need to apply at the right embassy, which will depend on the purpose of your trip or your overall European itinerary. You’re going to France only and will not visit any other country. You will visit multiple Schengen countries but you will stay the longest in France. You will stay in multiple Schengen countries for exactly the same number of days, but France is your point of entry (first in your itinerary). There are many pros of applying at the French embassy. Obviously, not all embassies work the same way. Some are stricter than others. Some are faster. 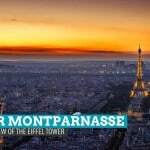 In the travel circles (or at least in my travel circle), the French Embassy (along with the Dutch and German embassies) is known to be more considerate to potential tourists, while the Italian and Spanish embassies are regarded more stringent. 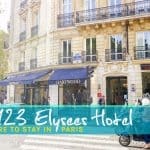 Many of my friends who initially wanted spending the same amount of time in two or more countries would deliberately change their travel plans to stay longer in France just so the French Embassy would accept their application. You can apply up to 90 days (3 months) in advance. While the French Embassy works relatively fast, it is wise to give some time allowance just in case something doesn’t go as planned (e.g. they ask for additional documents). I consider “a month before” too tight. Two months should give you enough time to secure a copy of all required documents and fix a problem should it arise. The French Embassy has entrusted the receiving, processing, and issuing of most visa applications to VFS Global, which has streamlined the processes. Here’s how. 1. Book an appointment online. I always recommend getting an appointment before anything else because you’ll never know when the earliest schedule will be. You can always book a much later date if you’re still working on some requirements (which I will discuss later). To get a schedule, you will need to sign up first. Go to this Appointment System page and click on NEW USER. If you already have an account, simply log in using your access details. Once you have an appointment, print out the Appointment Confirmation Letter, which you need to bring to the VFS Global Visa Application Center. While waiting for your appointment day, gather all the required documents. 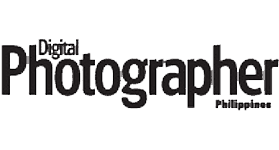 You need to prepare two copies of each: one original and one photocopy. To speed up the submission process and for your sanity, arrange them in the order specified in the checklist given to you. As of September 2016, here’s the complete list in the right order.  Accomplished application form with passport-size photo (35 x 45mm, white background). You can download it here. Valid passport. Must be valid for at least 3 months (6 months, to be safe) from the end of intended stay and must have at least 2 empty pages. Photocopy the bio page and all pages with stamps and other visas. If you have visas not on the passport (printed out visas like Australian visa), photocopy them too. Certificate of Employment (if employee). The monthly salary and leave of absence approval must be indicated. Leave of absence letter (if employee). Proof that your leave has been approved by your employer. You may get this from your HR or immediate superior.  Business registration documents (if self-employed). This includes DTI permit and SEC documents. Bank certificate. Must be issued within at most 30 days before the application. Bank statement. Must show records of the past 3 months. If you’re a minor, you must provide: (a) proof of economic means, (b) passport, and (c) affidavit or support and consent of parents or legal guardian. If married, marriage certificate and birth certificate. If minor traveling with someone other than the parents, copy of DSWD permit. Visa fee. EUR 60 (or its equivalent in peso that day). Note that you will also be paying the VFS Service Fee, EUR 26. 3. Submit the requirements at the VFS Visa Application Center. Again, make sure you bring the Visa Appointment Letter I mentioned at Step 1. You will need it to get in. You’ll go through a security check, and will be waiting for your turn. Once they accept your documents, they will get your biometrics. You will also be given a choice on how you want to receive your passport (with a visa, hopefully): pick up or by courier. If you choose the latter, expect to pay an additional PhP 330. Finally, settle the visa fee. Make sure you have the exact amount. That’s it. All you need to do now is wait. The processing usually takes 5-7 days. However, there have been cases when they got theirs in 3 days. Some unlucky ones got theirs a lot longer. Some will be asked for an interview at the embassy. It really depends on many factors, which probably depend on how strong your case is and how much work load they have. Regardless, it’s out of your hands. Just hope for the best. According to an ABS-CBN report, starting November 1, 2017, the processing time will be shortened to only 48 hours (2 days)! So that’s good development. 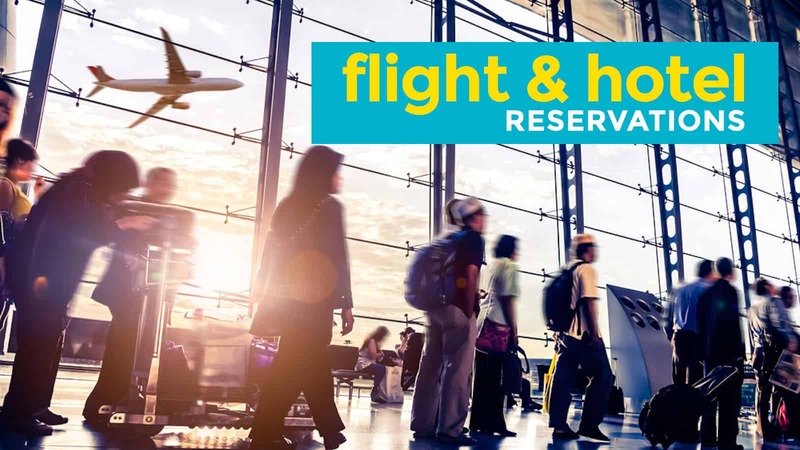 Another tip I got from online forums is to make flight reservations directly with airline offices. Cathay Pacific holds reservations for 2 weeks I think, free of charge. I’m a former airline employee. Here’s a tip: DO NOT purchase a ticket before applying for a visa. Not being negative, but what if you purchased a very restricted ticket (promo fare, non rebookable, non refundable) then your visa application was denied? That’s why it’s best to CONTACT THE AIRLINE DIRECTLY, make a booking, put it on hold, and request to have the itinerary emailed to you. Sometimes the booking can be held for 2 days, sometimes 5 days, it depends on the type of fare. If it’s very restricted, the ticketing time limit is short (max 2 days). If it’s a regular fare or flexi fare, the deadline is longer. Hope this helps. PS: Booking on hold meaning you don’t have to pay for it immediately. You are given a deadline to finalize the payment. 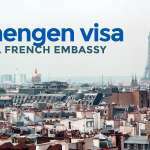 You mentioned that the french embassy wasn’t as stringent in providing visas as compared to other embassies, would that still hold true today after many terror attacks in EU/France? I’d imagine it would have some effect, but to what extent do you think? Hi Jean, no. The two times I visited France were both after a major incident, but they were still pretty reasonable. I just want to ask if intercity tickets (train or plane) will also be submitted during visa application? Is it required? Hi there, would the bank statement and certificate affect your visa application for france? If for example there’s not a lot in the bank. Yes, you can use deed of sale. 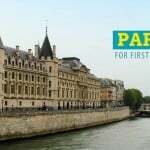 Pero warning lang ha, mas strict sila kapag may kakilala ka sa France lalo na if hindi strong/reliable ang relationship. How much should be your bank deposit? Hi thepoortraveller. We just came back from our Japan trip, thank you very much for your superp insights, your itineraries were a huge help! Anyway, I wanted to ask, if I’m travelling to France together with a friend, do we need to apply for a schengen visa separately of could we send one cover letter for both of us? Many thanks!!! hi thepoortraveler. Do you have idea as to how much money you need in your account to have visa approval? i am planning to apply and just visit france for 10 days only. Thank you for your response. Helps a lot! We’ll do the same. Again, thank you very much! hi! I just wanna ask if they return Time Deposit certificates? Our Time Dep certs are single original copies provided by the bank and we need them back in time for maturity. Thepoortraveler, good day! I have a question, i dont have enough in my account, but my boyfriend is willing to pay for everything (flight, hotel, all expenses), he is American and US citizen and working in US but willing to write letter of invitation for me. what are the documents needed from him as my sponsor for the trip? so i can send it also as a support for my visa application. Thank you in advance for your response. Hi Rowena, di ko po alam sagot. Hi. Is transit train tickets within schengen area required to submit along with the plane ticket? Thanks! Hi Ivy, if you accomplish the form online, after submitting the form, you will be given a list of requirements. If you print out that list when you apply sa VFS, yun ang list na masusunod. Wala sa list usually ang train tickets/transfers. Pero check mo dun sa list. If you fail to print and bring that list, you will be given the OLD list and yun ang mag-aapply. Sa old list na yun, andun ang train tickets, so doon, kailangan talaga. However, it is always better to provide as many supporting docs as you can. So if kaya mo naman magreserve ng train transfers, whether or not nasa list sya, isama mo na. hello.. ask ko lang regarding sa leave of absence., isasama ba ang travel period or date of arrival nalang sa leave of absence? example. dec. 15 ang travel period going to france then arrival is dec 16, dapat kasi dba match sya.. or date of arrival and exit nalang sa leave of absence. Hi Christian, always choose kung ano yung totoo. In this case, if naka-leave ka rin sa day na nasa transit ka (kasi pumatak sya na work day), then dapat yun ung nasa leave. If pumatak na weekend or holiday yung transit day, oks lang na wag sya isama. pahabol : or bali gawin ko nalang na kung ano nalang yung may pasok ako.. ill be arriving in paris by 16 but leave of absence ko is start ng 17 kasi monday yun, 16 is a sunday :) example : Dec. 17-28 ang leave of absence although return ko is Jan. 1 na holiday naman kasi dec 31 and jan. 1 .. right sir? Ikaw ba gagawa nung Leave of Absence tapos papapirmahan mo lang? Or may standard template yung company nyo? If ikaw gagawa, pwede mo iexplain yun clearly. You can write you’ll be traveling to France and that your travel dates are from Dec 15-January 1. Then, write something like, in line with this, you’re applying for a leave on (specific dates) since the other dates are public holidays. may template kasi sa company… pwede cguro if sa cover letter ko i explain nalang ? Aaaah. oks. 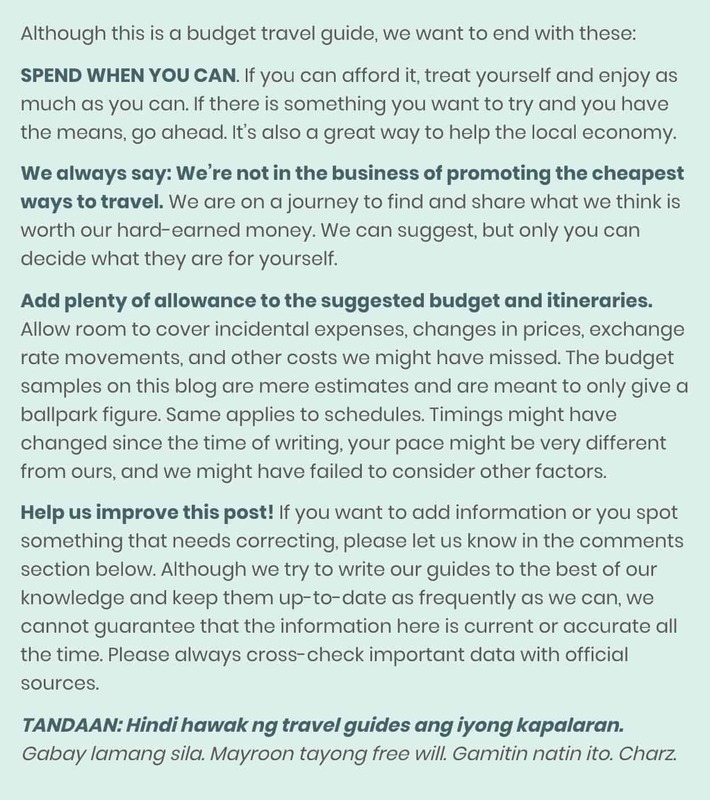 If sa template naman ng company nyo is maco-cover yung buong travel dates (including transit days), less complicated nga yun. Yung companies lang na pinagtrabahuhan ko before, mas specific lang sila and di talaga nila sinasama ung weekends/holidays pag ganyan. In that case, yep, pwede mo naman iexplain sa letter par lang malinaw. Hi Xtian, yes. VFS naman will check it before i-submit. If di pwede, ipapatanggal nila. Yung question mo ay nasa FAQs section ng post na yan. Hi Christian, if you’re accomplishing the form online, the checklist will be displayed after. kailangan ba malaki ang salary mo ? like 40,000 a month para ma aprove ang visa or ok lang naman na 20k Plus a month ang salary ? and example po, sa ITR what if new ka sa work started Sept. then basis of your ITR is sept – dec. ok lang naman ? as long as may itr ka naman ? Hi Mon, approval or denial is based on combination of a lot of factors. If mababa ang sweldo pero malakas naman ang proof of rootedness (matagal na sa work, may properties, etc), may chance pa rin maaapprove. Pero if mababa ang sweldo tapos questionable yung ITR and rootedness, malabo maapprove. by questionable, i mean not yung usual ITR na covered yung buong taon. What you can do is write a letter explaining that you recently moved to another company and send both ITRs from your current and previous companies. nag note naman ako sa cover letter tungkol sa itr, then naka explain naman sa contract of employemnt ko about my work,,, malaking help din dba kung may tatak passports dba? sa travel insurance po, kung 15 days lang ang stay mo sa france, ok lang na 24 days ang avail na insurance instead of 30 days ? kailangan ba ilagay o explain sa cover letter yung previous job mo ? kasi 1 year pa lang ako sa new job ko now… complete requirments na ako.. isama ko ba ung certification sa previous work ko ? i have submitted my requirements sa VFS last Friday, and now, im just waiting for my passsport :) Hopefully with a visa ! 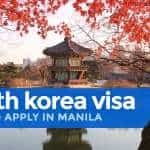 Wala rin binalik na requirements sakin kahit sobra, I submitted extra docs like certificate of organization and officership / Cert of Stocks / Pictures of me and My friend as proof travelling together etc… There’s a family of four na decline agad sa emabsy kasi mali ang itinerary nila, sabi sa embassy, hindi dapat dun mag apply kasi mas matagal ang number of days nila sa Italy kaya hindi sila nakapag apply.. back to zero sila lalo sa iti. Thanks for sharing Xtian! Good luck with your application! Sana approved! i gotm my visa for 5 days ! approved :) sa sobrang excitement and curiosity ko, ako na kumuha sa 2GO cant wait for the postman to deliver it door to door. they gave me 25 days Multiple entry since i was just requesting a 16 days … i am relieved !!! nakaka torture mag intay hehehe. im on my itinerary making.. what can u suggest on transportation? worth it ba eurail pass? Hmmm, depende sya sa itinerary eh. Pero generally, okay lang kahit wala nun. question uli :) what if okay lang ba na mas matagal kami sa italy kasi baguhin ko iti ko eh.. since sa french kmi nag apply. do they check hotel bookings sa immigration ? chinecheck ba nila kung gaano katagal ung iti each places? Hi Raymond, Immigration may choose to check your hotel bookings or itinerary upon entry sa Schengen area. It happened to me once. What some people do when they have sudden change in their itinerary is they keep their hotel bookings in the country that gave them the visa. They can and they might. 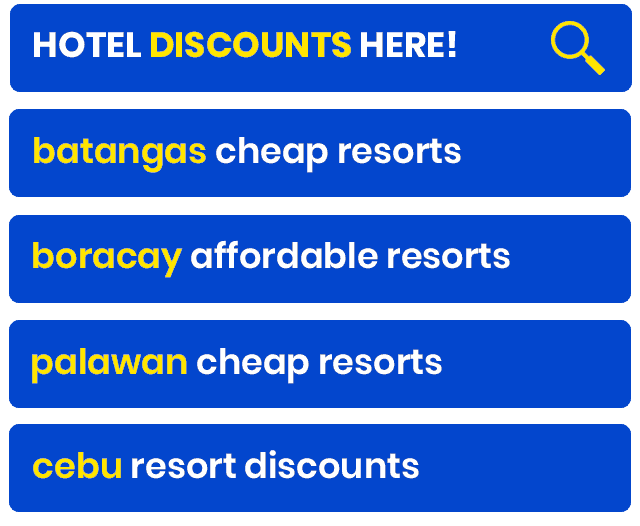 That’s why what we do is book hotels na may free cancellation para in case we change our minds, madali icancel. You can cancel your booking once you arrive in Europe, after passing through immigration. If kasama ko 6-year-old daughter ko, isang cover letter nlang gagawin for both of us? And do I still need to submit those documents you’ve mentioned for minor? Do you have any inputs ano process if my batang kasama? Hi Shela, I haven’t tried applying for a Schengen visa na may kasamang minors. But yes, you will have to submit the documents na indicated for minors. You can have 1 cover letter but submit 2 copies of it, one for each of you. Where and how do you pay the Visa + VFS fee? Pay at VFS application center, cash, exact amount. Hello po, i am not employed for almost 5 years, puro extra works and online businesses lang ang naging source of income ko, part timer din if needed, in short i dont have( tax) itr, would still be possible to apply for french visa? I have bank account and properties under my name…. If stable naman ung online business, pwede pa rin. Generally mahihirapan pag walang ITR, pero you can try submitting other proof of income and rootedness. Pero mahihirapan talaga. Had my appointment in VFS Global (France) in Manila last tuesday, November 20, 2018.
and to my surprise, the next day, on November 21, 2018, I got a message saying that my passport is couriered to me by 2GO. That was really really fast. Anyway, I have no tracking no. so I cannot verify where is my passport now. The wait is torturing me hahaha. I have this feeling na disapprove sya:(( because it is way too fast, and the consul did not think twice to disapprove my visa.. Well it is just my thought.. huhuhu.. maybe it is the other way around :)) sana..
May naka experience na ba ng ganito kabilis? and the visa was approved? Is it alright if I apply to the French Embassy? This is fairly important to us because we’ll be applying 5 working days before our scheduled departure and we’re praying for the promised 48-hrs release of the visa. Also, is it really feasible for the visa to be released in such a short time? Thank you so much and I hope this will not inconvenience you in any way. Hi! Based on your itinerary, I think the French Embassy is the right embassy to accept your application. However, there are a lot of cases recently wherein applicants waited for WEEKS to receive the result. I’m not sure what’s causing it. But I think one contributing factor is the volume of applications since December is considered peak season. If I were in your shoes, I wouldn’t be counting on the 48-hour release. While marami nang cases na nakuha nila agad ang visa, medyo malabo yan ngayon dahil peak season nga. Thank you for your response! Actually, I called VFS and it’s actually a low season right now. Thus, I really don’t know what’s causing the delay. 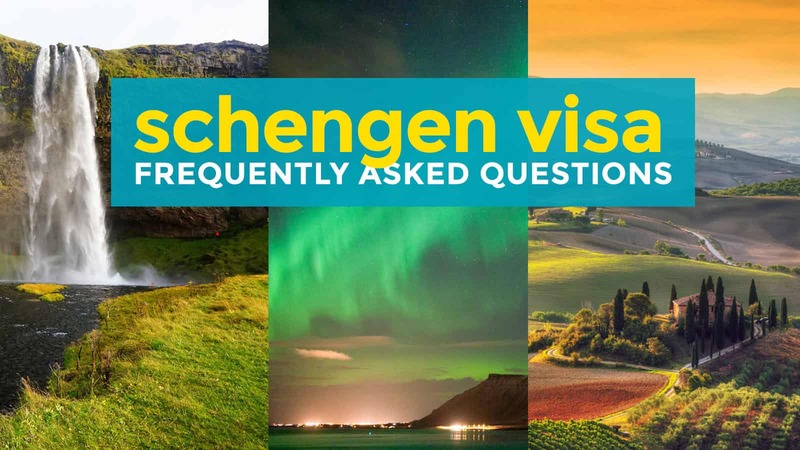 Before the 48 hours visa processing, we were able to get our previous Schengen visa from the same embassy within 5 working days (We lacked one document so they had to put the processing on hold by day 2 and contacted us. They released it 2 days after we submitted the documents.) We’re quite desperate since we already paid for almost everything. Do you think it’s better to rearrange the schedule and apply to another embassy? Thank you so much! Hi! I am going to attend the Rotary International Convention in Hamburg, Germany on June 1 – 5, 2019. 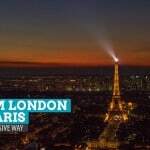 I planned to enter Paris/France first as I will be coming from UK after visiting my son (UK RESIDENT). This will be my 2nd visit to my son in UK. He wants to drive me by car to Hamburg passing France, Belgium and Netherlands, then to Hamburg. I intend to stay in these countries for 3 days equally. Which country should be best for me to get my visa? Could I get a visa at the German Embassy even if my first point of entry is France? I am assured of a German Visa as I have already an invitation letter from Rotary International Secretariat for my attendance in Hamburg. Please advise. Thank you. Hi Godofredo, in theory, you should apply at the German Embassy because the main purpose of your trip is to attend a convention in Germany. But there is also a rule that when there are equal number of days per country, it should be at the embassy of the first country you’ll visit (which is France in your case). BUT in cases wherein a traveler will be visiting multiple countries but with a clear purpose in a specific country (convention) AND staying in equal number of days per country, I’ve been getting conflicting testimonials from readers over the years. Some will say it should be Germany because the main purpose is there, some will say it’s France because that’s the entry point. My advice is this, to be absolutely sure, extend the number of days of your stay in Germany by a day. If right now you have 3 days each, make Germany 4 days (and make another, maybe Belgium, 2 days). This way, there will be no question that you must apply at the German Embassy. Just adjust your itinerary after you’re issued a visa. If I can secure a Germany Visa, is it compulsory that I have to fly directly to Hamburg? Or could I make France/Paris as my entry point? You don’t need to fly directly to Hamburg. In one of my trips to Europe, I had a German Schengen Visa but my entry point was Paris. Didn’t have any problem. Hi good day.. Worried and excited and nervous po ako kc sa march 29 na appointment ko. For traveling Jan France for 7 days sponsored by my friend but I still provided my bank account and statement including deed of sale . Ask ko lng po need pa po ba ung conversation Namin ng friend ko? Di nmn po nklgay sa list of requirements..
Kabado ako.. I’ve been travelled to 6 countries but still kabado parin kasi first time ko mag process n my sponsor..
Hi Lyn, super strict ang Schengen embassies, lalo na ang France, kapag sponsored ung trip by someone living there, lalo na kung hindi immediate family or hindi reliable ung relationship. Madalas, kahit complete ang requirements, malaki pa rin ang chance na madeny kasi nga hindi reliable ang relationship. Just a piece of advice, If I were you wag mo na ideclare na may naginvite sayo lalo na hindi immediate family mo. I was denied a Spanish visa two weeks ago, complete requirements ko, I have a stable job as a nurse here, meron pa akong online business, stock certificate, told them me and my mom only lives alone, and showed 50 pages proof my relationship with my boyfriend (ung naginvite sakin), been to a few countries here in Asia..